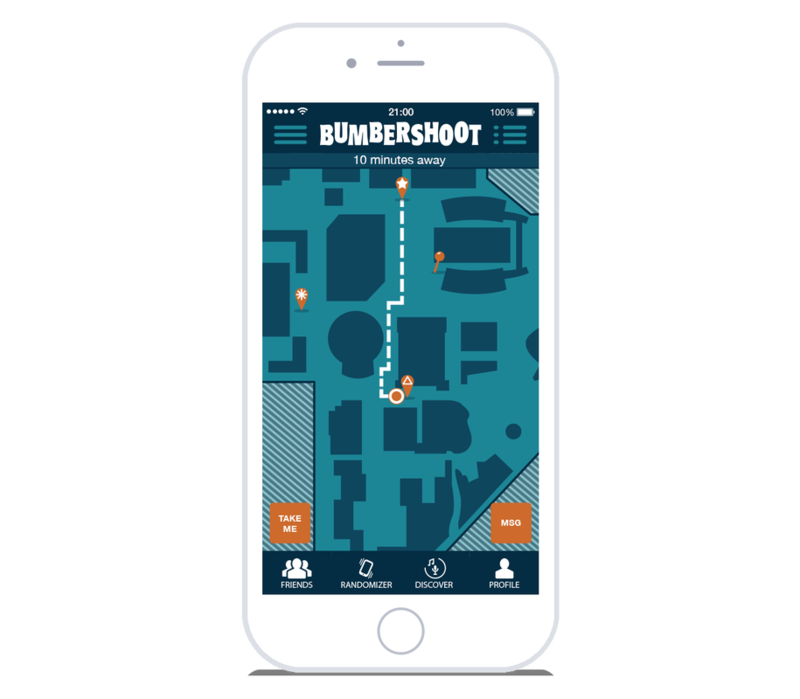 CHALLENGE: Bumbershoot’s digital assets generally don’t make use of the mobile platform’s location services, microphone, speaker, camera, or accelerometer. There’s a significant opportunity to build a more optimized mobile experience for festival goers. 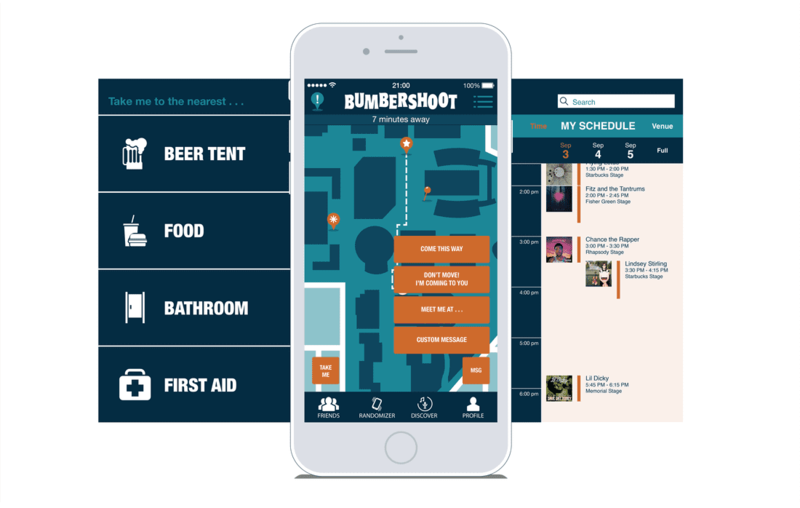 SOLUTION: Redesign the current festival app to fit the needs of the user, emphasizing the "day of" needs rather than the planning. We also wanted to utilize the features of an iPhone such as the accelerometer. WHAT I LEARNED: Small, complicated icons do not read well and cause confusion in the navigation. 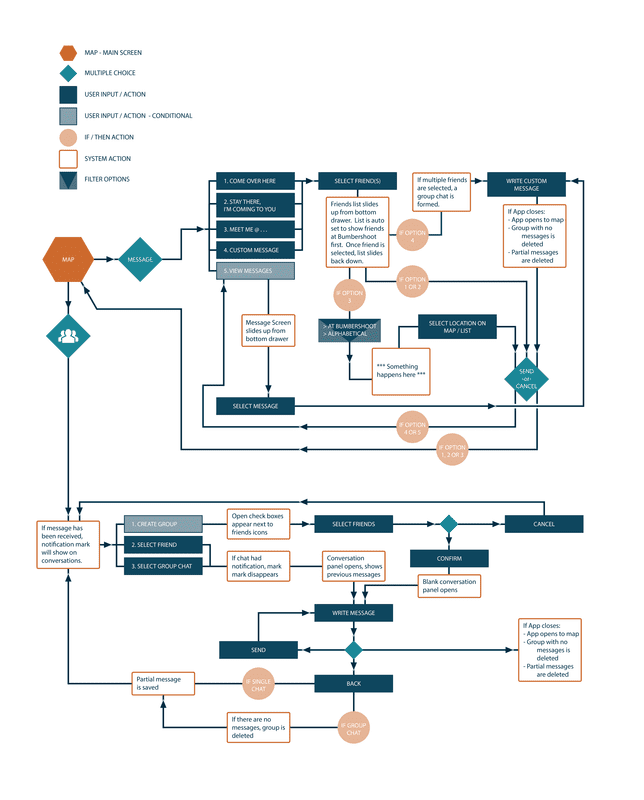 Understanding all aspects of our client's and user's needs was a large portion of work. We placed extreme importance on this and divvied up the research responsibilities into three main components. Katie and Rachel tackled the Competitive/Comparative Analysis and the Domain Research while I focused on the user directly. 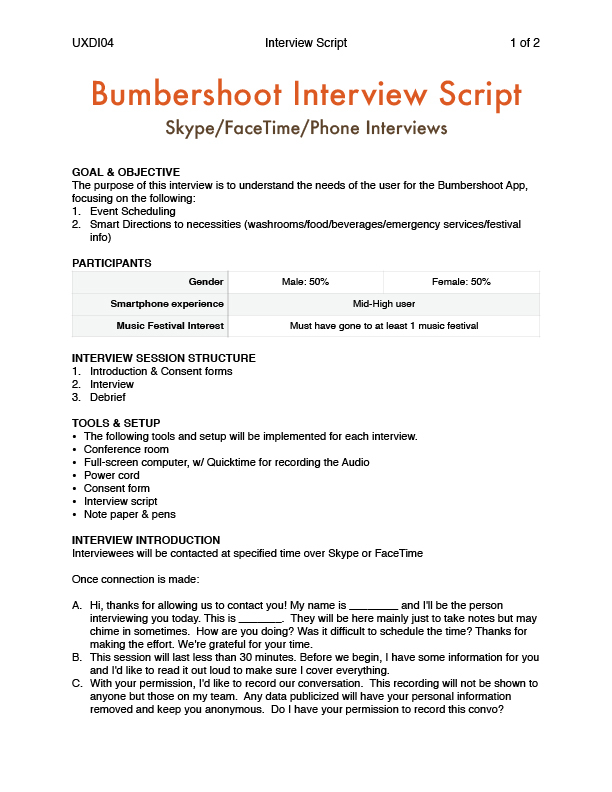 I created the Interview Plan, Screener and Script and headed a large portion of our interviews. We interviewed 7 people in total, and found some interesting corollaries. 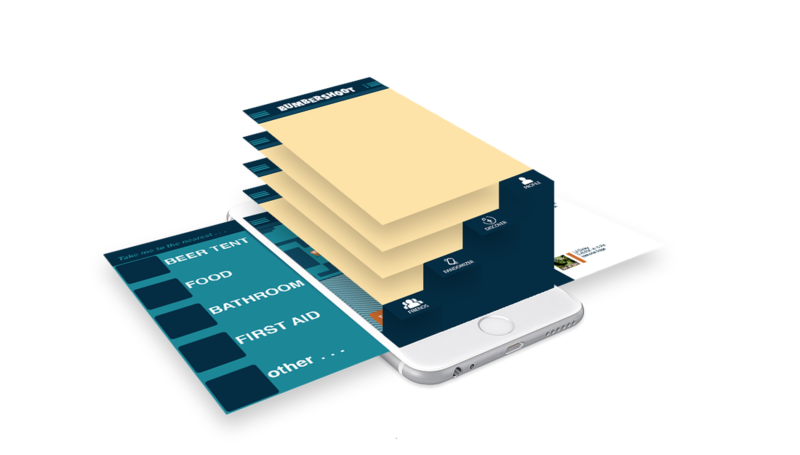 People that have used festival apps preferred the ease of the paper program. It has more readable real-estate than a 5.5" screen, allowing for quick access to needed information, especially maps and showtimes. 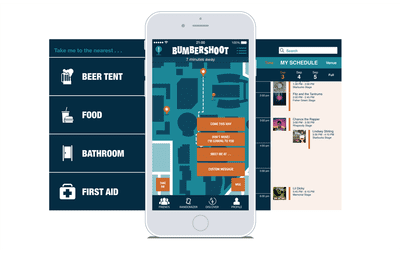 Even though Bumbershoot is a lot more than just a music festival, the main reason for attendance is, assuredly, the live music. We took these main points from each interviewee and created an affinity map, grouping the data into larger core categories, voicing frustrations and loves. 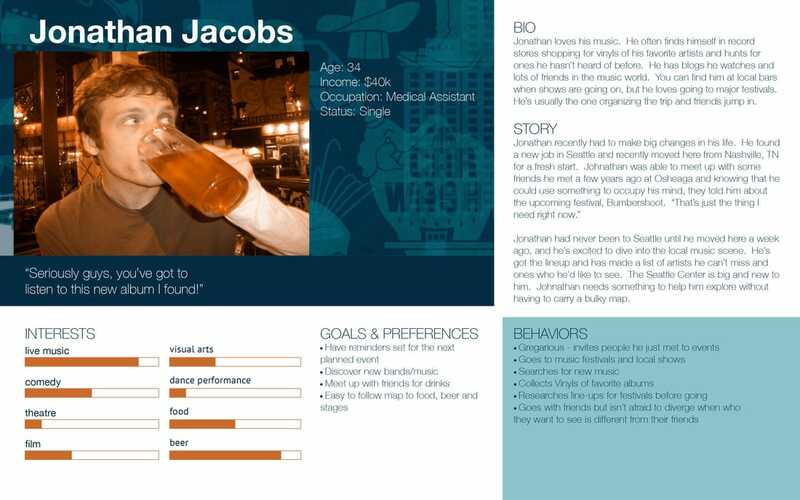 These points brought me to make the persona of Jonathan Jacobs. 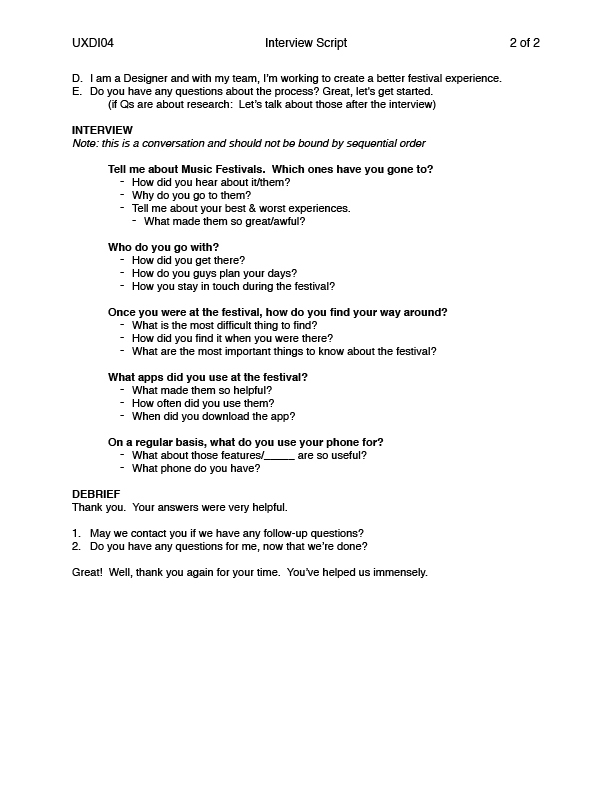 It was very important to me that our Primary Persona (hypothesis) embodied the music festival enthusiast, the one who cared the most about what would happen at Bumbershoot. 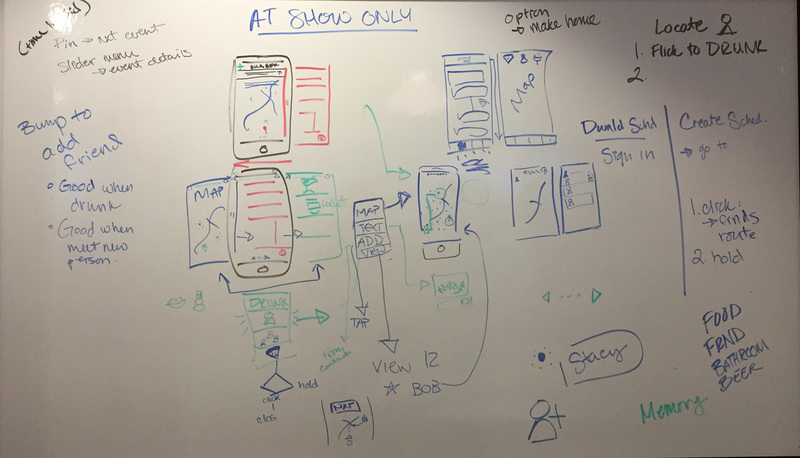 This was such a large portion of how the app would look we worked closely together on a whiteboard. Most of the pen work was mine, but we often switched places to share ideas. We spent most of our time in this planning mode to make sure we got it right. It was here that we decided that this would be an app devoted to the show dates only and not those leading up to them. We gutted the current app and marked the most important features along with adding what Jonathan Jacobs (our proto-persona) would most benefit from. 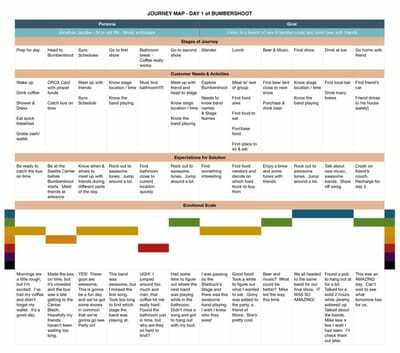 The interface needed to be simple, and allow for simple navigation of the festival. 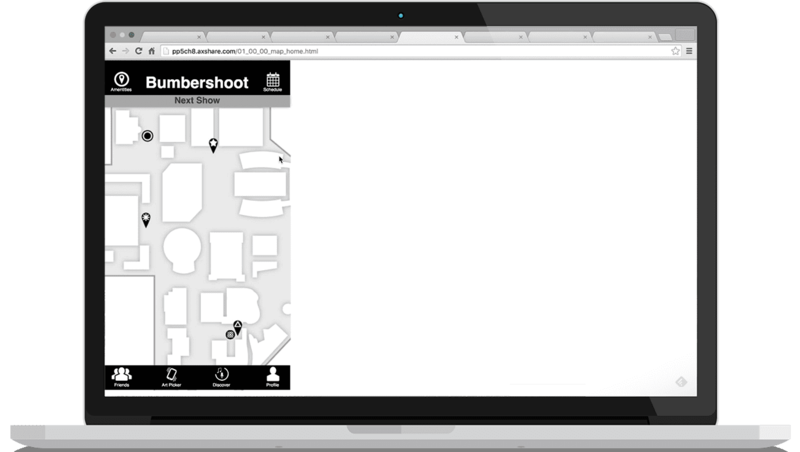 The map was the center of what the app is all about, which is why it became the main page. 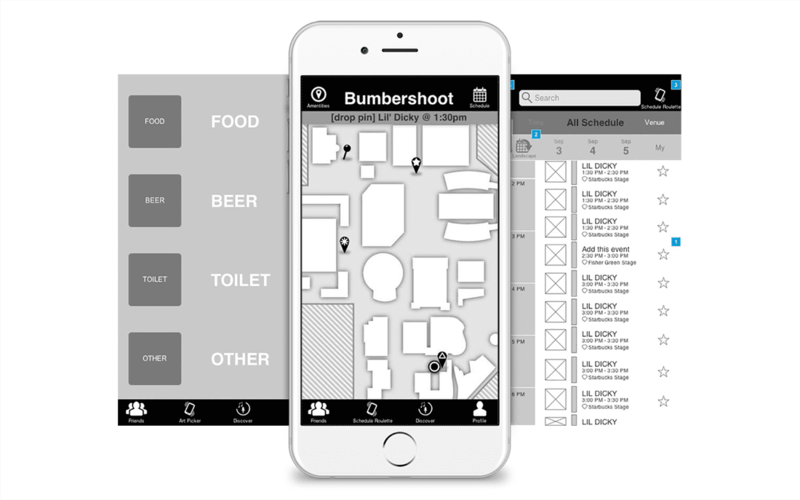 Swipe left and you get large buttons that will navigate the user to the closest bathroom, food cart or beer tent. You know, the important stuff. 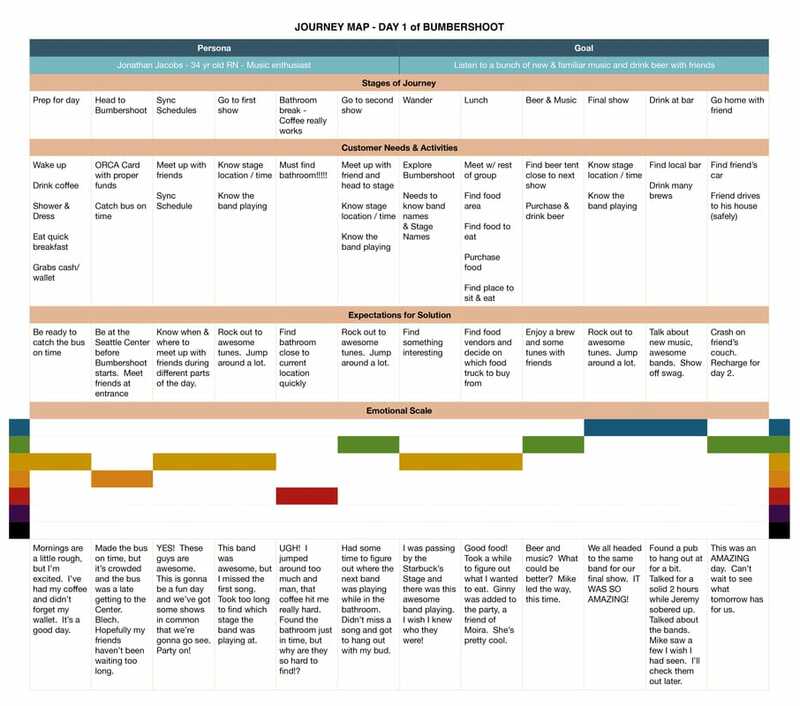 Thinking more about the needs of the festival goers, a more complex flow needed to be created. Here is a partial of the flow. When setting up the project in Axure, I created a style guide so we would not get too locked into design. We also needed to allow for future color schemes to be implemented as they change each year. I Frankensteined icons to match our button needs and each of us put up our mid-fi wireframes. There is a small sampling showing the main icons needed to interact with. 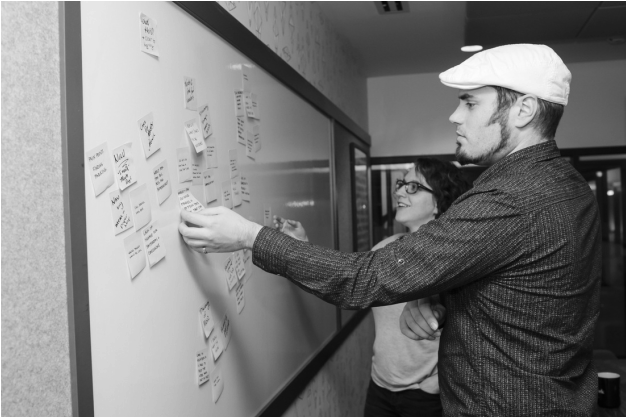 When creating the layout and look of the app, we sat around a table and used an ideation technique called a Design Charrette, shelling out ideas of anything we thought of in respect to each users flow. From there, each of us took a different user flow and fleshed out basic wireframes which eventually moved to mid-fi, and now hi-fi comps. This is always the most exciting part for me. I was able to facilitate all usability testing and let the user guide me through their thought process. The tasks and script were set out by Rachel, and both Rachel and Katie took notes and added in other questions as I moderated the tests.. User Flows were clear and delightful. Each user responded with "Oh wow! That's great", or something close to it. The app had features that were beneficial to the user. When testing each one, they enjoyed the options available and they fulfilled desires for their festival experiences.